I am here with a Halloween themed card using stamps from My Favorite Things - Witch way is the candy. 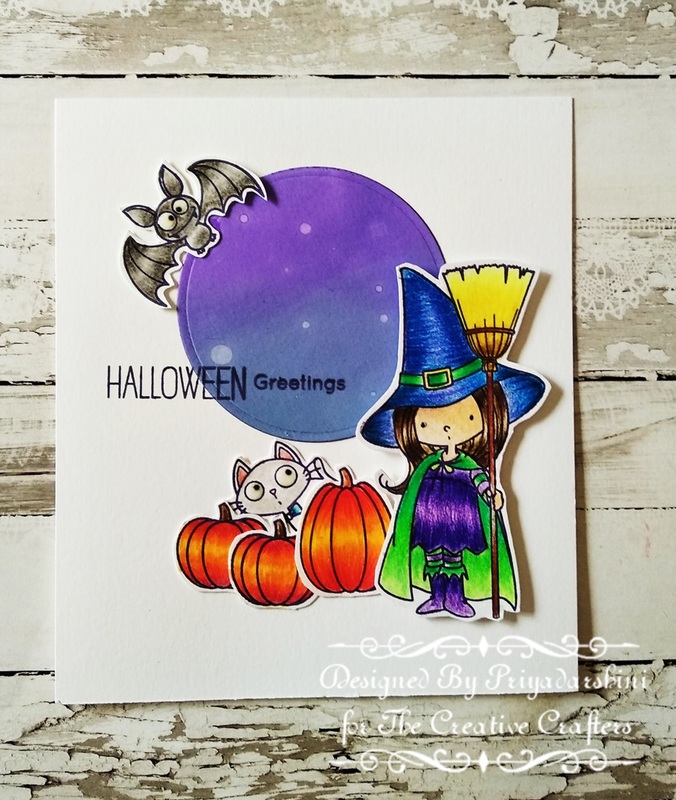 It has lovely images and perfect for Halloween theme card. Its a top fold note card and I coloured the image with colour pencils and trimmed it down. I die cut a circle and inked it with distress ink for a small background (I wanted to keep the background simple as my focus was totally on the images). Super Halloween card, love all the images. Thanks for playing at AAA Cards. Love this card and the coloring! This is one of my favorite set that I don't own yet, everytime I see someone use I kick myself for not having yet! ;-)Thanks for joining us at Addicted to Stamps and More! What a fun card! Lovely colouring! Thanks for playing along with us at AAA Cards! So cute and perfect for Halloween! I love the expressions on the critters, too. Thanks for playing at AAA Cards challenges.